NBA ALL-STAR KAREEM ABDUL-JABBAR’S MYCROFT HOLMES GRAPHIC NOVEL ARRIVES THIS SEPTEMBER! IT’S SHERLOCK’S OLDER BROTHER AS YOU’VE NEVER SEEN BEFORE! 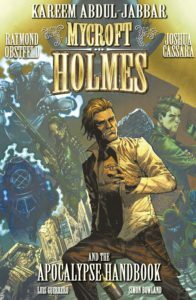 Based in the world of the best-selling Mycroft novel by Kareem Abdul-Jabbar, Mycroft Holmes and The Apocalypse Handbook graphic novel sees the diffident, brilliant Mycroft pulled into a globe-spanning adventure at the behest of Queen Victoria and a secret organization at the heart of the British government. With a madman on the loose with civilization-destroying weapons, can the smartest man in England set aside his idle, womanizing ways for long enough to track down the foe that may be his match? The character of Mycroft only ever appeared in a handful of Sir Arthur Conan Doyle’s stories – The Greek Interpreter, The Final Problem, The Empty House and The Bruce-Partington Plan. The character has since been adapted in various pieces of literature and media. Over the last 7 years, the character of Mycroft has gained increased mainstream awareness through appearances in the smash-hit BBC TV show Sherlock and CBS’s Elementary. 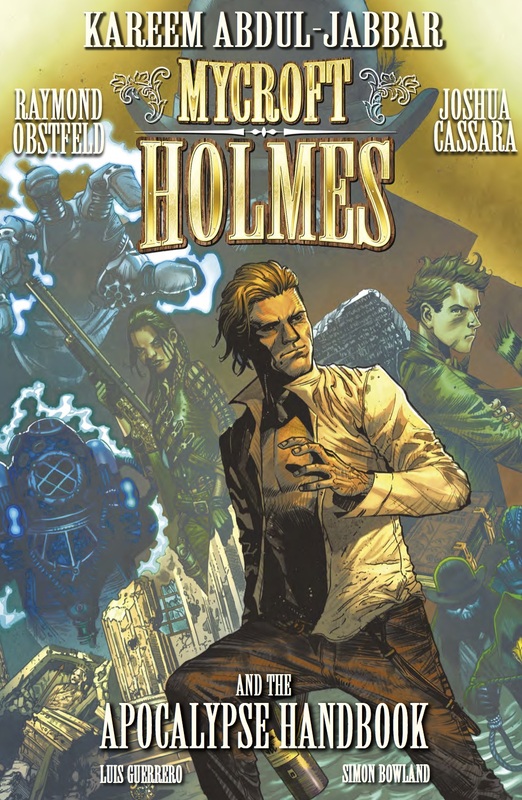 This exciting graphic novel, which adds new revelations and insights into the life of Mycroft, sees Abdul-Jabbar team with best-selling novelist Raymond Obstfeld (Joker and the Thief), artist Joshua Cassara (New Avengers, The Troop) and colorist Luis Guerrero (Doctor Who, Rivers of London, The Troop).